Honeywell Q313U3000 35" long universal thermopile with push-in clip, ataching nut and PG9 Adapter. 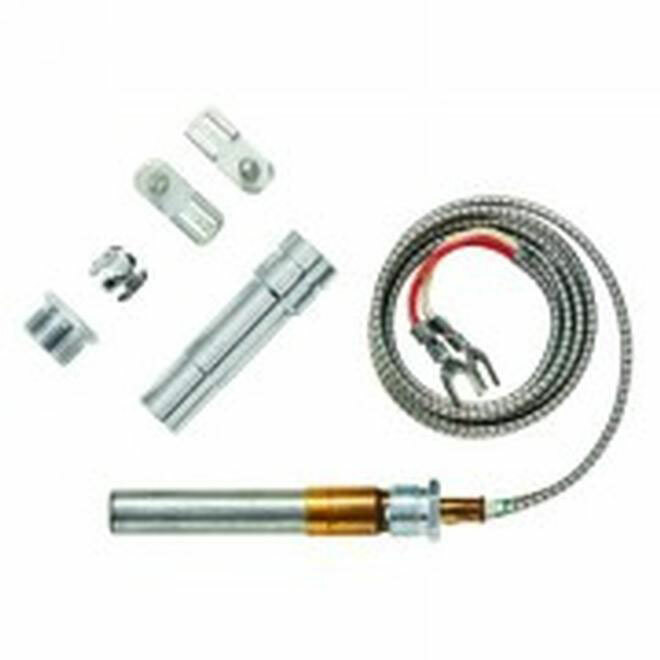 The Thermopile Generator contains multiple thermocouples connected in series to provide 750mV. The power generated is sufficient to operate an automatic millivolt gas control system, independent of any outside power source. 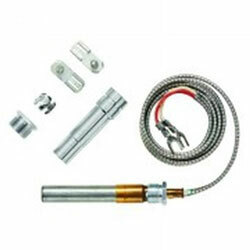 Push-in clip, split nut, or adapter assembly available (depending on model) for easy pilot burner installation. Spade or quick-connect terminals available for millivolt gas control connections. Available in a variety of lead lengths.